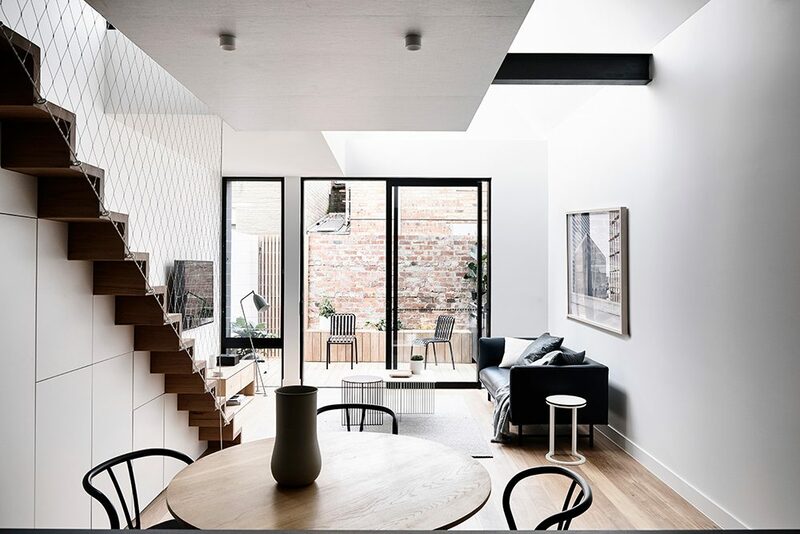 The Carlton House project is a makeover and extension of a heritage Victorian terrace in Melbourne. With early terrace homes of this kind often having small rooms and darkish interiors, the brief was to create a light-filled environment offering a more open, contemporary and spacious feel. Tom Robertson Architects took on the challenge. Tom Robertson is a team of architects based in Richmond, committed to exceptional architecture and an adaptive approach in order to create truly unique projects. Their designs are often restrained in palette, and marked by a natural simplicity. The architectural team reconfigured the Carlton home to offer a sense of spaciousness and light. This was achieved by a vertical expansion of the space, and use of a largely monochrome palette. 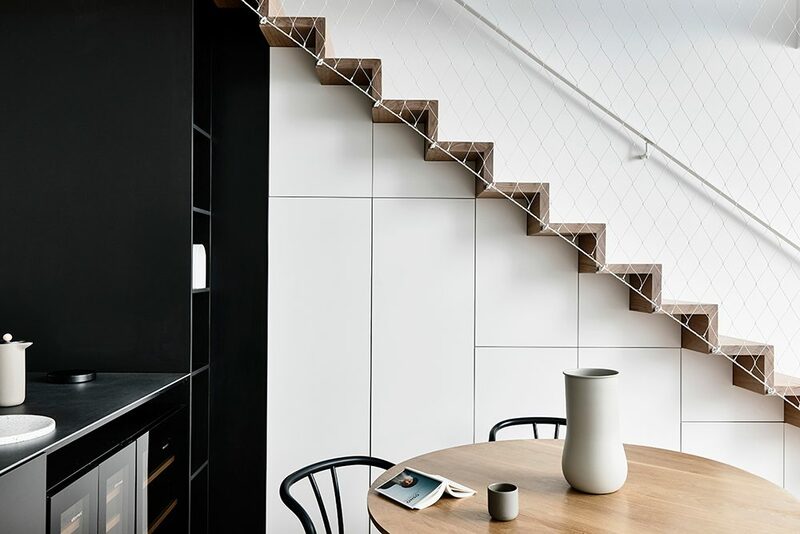 The refurbished and transformed home has a zinc facade, natural timber flooring, built-in storage, a black-and-white kitchen, textured tiles, skylights and floating spaces. Tensile’s brief was the supply and installation of webnet mesh to create a balustrade for the staircase. Our aim was to keep it very minimal, in line with the pared-back aesthetics of the design. We used 100mm aperture mesh with 6mm perimeter cables, all of which were coated in white. 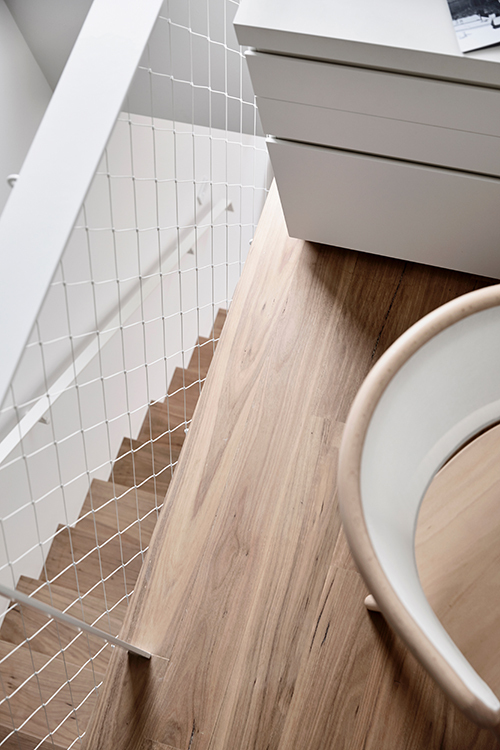 The mesh fulfils the safety requirement while not intruding into the light and minimalist design. 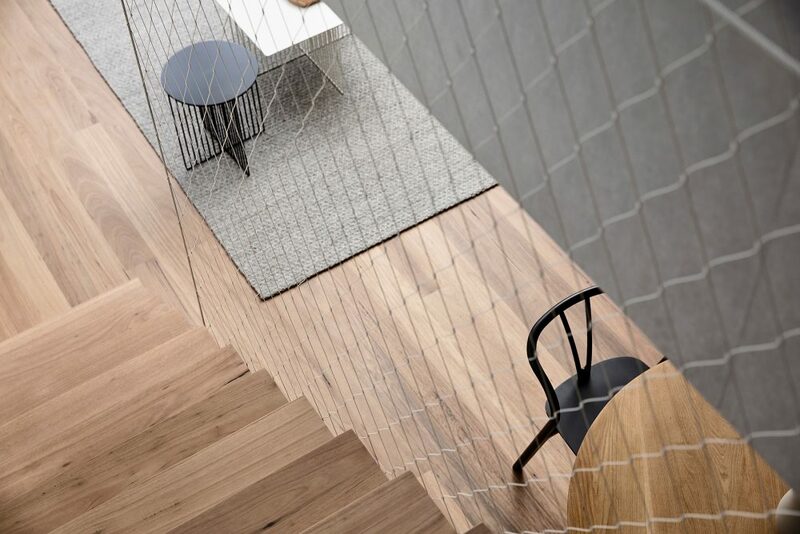 In fact, the white coating matches well with the interior colour palette, and it helps the mesh to blend in and almost ‘disappear’ into the space. 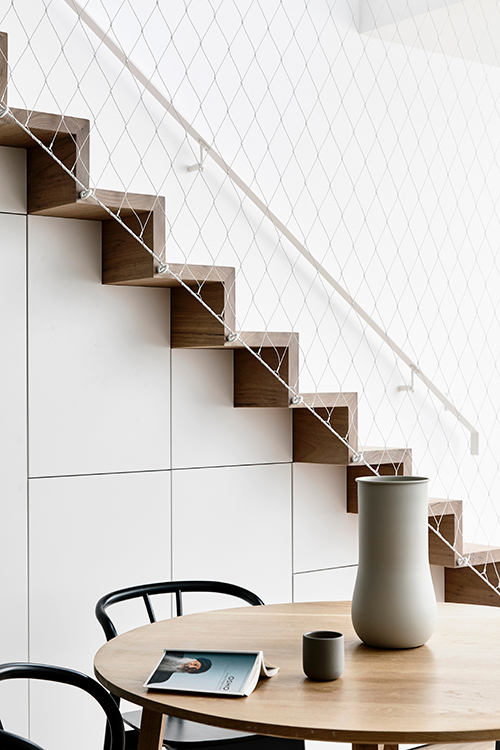 Tom Robertson describes the white wire mesh as being both decorative and functional, “adding detail without over-complicating the interiors”. 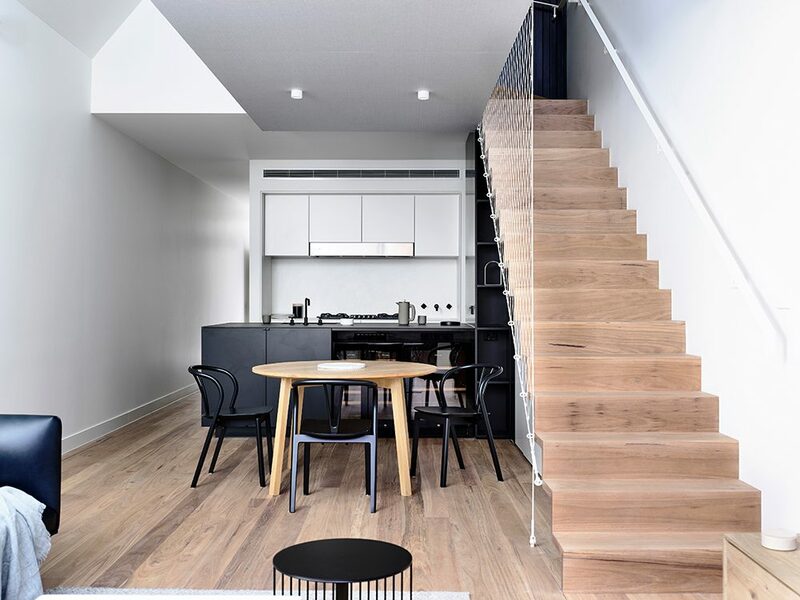 The Carlton House renovation shows how clever use of architectural elements, good design and a restrained palette can combine to create a space that is both beautiful and functional. Tensile is proud to have been invited to contribute to this unique project!